WHERE TO GET A CHEAP MEAL IN Tauranga and Mt Maunganui. The best way to save money on food when backpacking in New Zealand is always to cook your own food in your hostel. However, some deals in Tauranga and the suburb of Mt Maunganui are too good to resist! If you’re going to treat yourself to eating out in Tauranga, make sure you get the most for your money with these cheap eats in Tauranga and Mt Maunganui! We’ve found some irresistible weekly and daily deals on food from all over the city, from classic Kiwi burgers to Mexican delights! There are deserts to treat yourself and good hearty meals for a hangover cure. We have also listed most fast food joints in the city for those times that you are in a rush! But remember, cooking for yourself is always the cheapest option of keeping yourself fed, so check out our Hostel Recipes section and Food section for inspiration. You can always rely on New Zealand for some affordable burger deals. Head to Astrolabes, 82 Maunganui Road, for NZ$10 burger, beer and chips every Tuesday! You can also enjoy craft beers from this Mac’s Brewbar too. More cheap eats can be enjoyed when you venture down the coast to Papamoa. Papamoa Beach Tavern, 20 Domain Road Papamoa, does NZ$10 beer, burger and fries every Monday after 4pm. Finally, Dixie Browns is reasonably affordable across the board with lots to offer in the NZ$15-$25 price range, but if you want to go for something dirt cheap, ask about the chicken cranberry pie with salad or mash potato for NZ$9.90. Mexicali, a Mexican restaurant on 203 Maunganui Road, does NZ$10 taco salads every Monday, NZ$3 tacos on a Tuesday, Friday and Saturday, NZ$10 Nachos on a Thursday. St Pierre’s Sushi (Bay Central Shopping Centre and Fraser Cove Shopping Centre) does daily deals of NZ$5.70 for an 8-pack of sushi. Fast food restaurants exist. 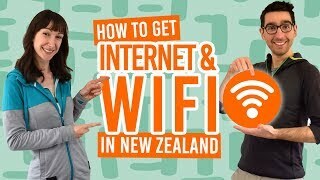 You need no introduction to McDonald’s (Bayfair Shopping Centre, 420 Maunganui Road and Corner Cameron Rd & Eleventh Ave), KFC (1010 Cameron Road and 145 Newton Street), Wendy’s (1032 Cameron Road), Subway (Fraser Cove Shopping Centre), Burger King (Fraser Cove Shopping Centre and 209 Maunganui Road) – all of which have meals for under NZ$10. For Kiwi flavours, check out BurgerFuel, 330 Maunganui Road and 602/610 Cameron Road, with burgers starting from NZ$5.90. Need we also mention the NZ$5 pizzas from Domino’s (Cameron Road and Bayfair Shopping Centre) and Pizza Hut (340 Cameron Road and 1/332 Maunganui Road)?! Complete your beach experience in Mt Maunganui with a famous Copenhagen Cone, 14 Adams Avenue. All ice creams are under NZ$10 so that classes as a “cheap eat”, right? Match your experience with something from our 10 Free and Cheap Things to do in Tauranga and Mt Maunganui article. Head to The Hop House, 297 Maunganui Road, for NZ$15 ribeye steak every Wednesday. Or if you want to treat a special someone, check out the two for one cocktails and waffles at Astrolabe, 82 Maunganui Road, every Thursday. Treat yourself to a real New Zealand delicacy of green-lipped mussels for NZ$16 at Phil’s Place, 101 Te Awanui Drive. Lunch deals you can’t miss! Looking for something of lunch, head to India Today on The Strand for NZ$11.50 curry lunch deals everyday between 11am-2pm. Grab a beef, fish, chook (that’s “chicken” in Kiwi speak) or veg burger with chips and a soda for NZ$12 everyday between 11am-2pm at the Papamoa Beach Tavern, 20 Domain Road, Papamoa. For some bar snacks while you’re watching “The Game” head down to The Bach, Bayfair Shopping Centre, with NZ$11 nachos, NZ$14.50 sausages and fries, and NZ$16 Kiwi burgers. The perfect hangover cure: get down to Bravo Cafe, 20 Spring Street, for a Bravo Breakfast. 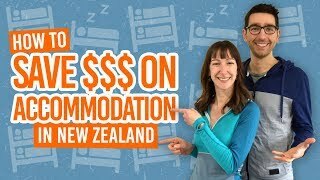 NZ$21 will get you bacon, sausages, hash browns, creamy mushrooms, tomato, toast and eggs your style! Get yourself a warm Western-style meal at Lone Star on The Strand. Daily deals and vouchers are displayed on their Grab a Meal website. Otherwise, you can often get burger deals for around NZ$25. A popular gourmet pizza joint is The Pizza Library (314 Maunganui Road and 254 SH2 Bethlehem) for weird and wonderful toppings.